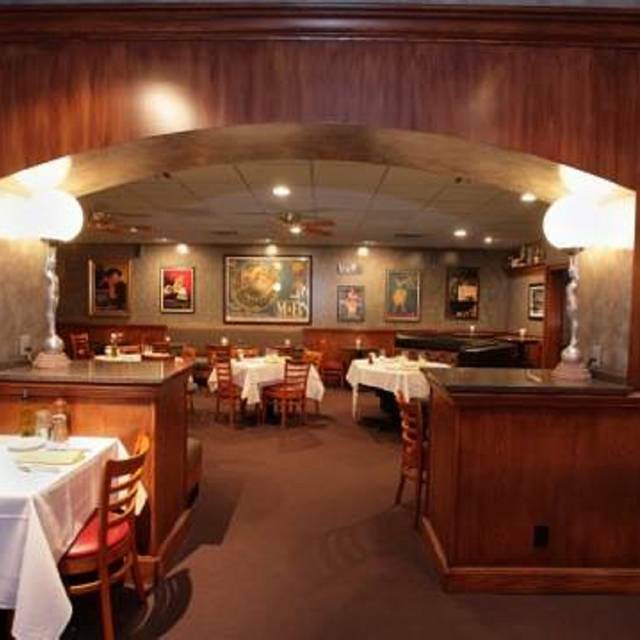 LoRusso's Cucina in Saint Louis, MO has been serving the area with fantastic Italian food for decades. The eatery can host large groups and provide catering. It also offers up some fantastic options on the menu for adults and kids alike. LoRusso's Cucina has some great appetizers. You can try the toasted beef ravioli, meatballs, fried spinach and the wild mushroom trio. Some of the other options on the menu include the fettuccine pollo asiago, capellini fantasia, tortellini, short rib ragu and the eggplant lasagna. Grilled options at LoRusso's Cucina include filet gorgonzola, the cowboy rib eye and the veal parmesan. I had written on open table we came to LoRusso for a birthday. The hostess said She noticed we there to celebrate a birthday. Our waiter never said anything. My husband order veal Milanese. He said there was more breading than veal. Kind of disappointing. Everyone else enjoyed their meal. We had flash fried spinach, veal piccata and creme brûlée...all excellent! 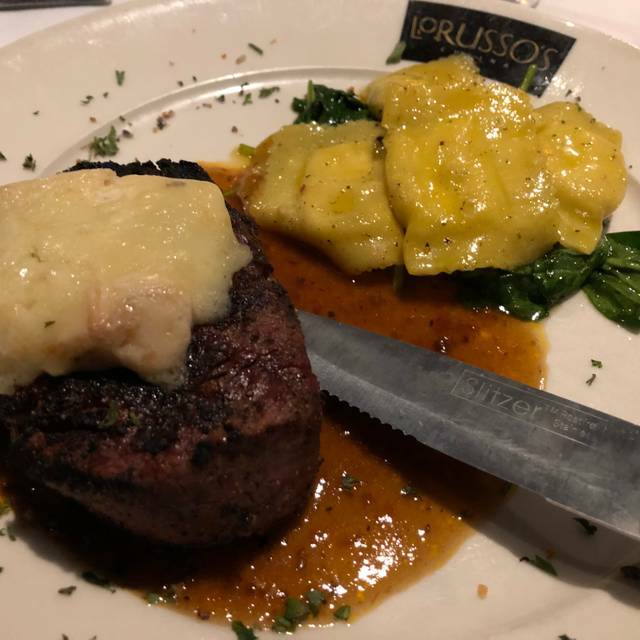 Dine at LoRusso's 5-6 times per year and always have great food. Been coming ever since they opened. We’ve been here many times and we’ll be back. This was not our best meal. Usually LOVE flash fried spinach but it arrived not as crispy as usual and almost soggy in middle. Pasta with short rib ragu was very good. Definitely a winner. Lobster bisque was ok and special stacked fried eggplant/tomato/mozzarella salad was disappointing. I strongly recommend the Cioppino, absolutely the best I've had outside of San Francisco. Great service! Everything was amazing. We had the salmon cakes and Della casa salad for starters. We ordered the tenderloin mudega and the fettuccine Leonardo. The steak melted in your mouth and the fettuccine was very rich and creamy. Great place, atmosphere and service. We will be back. We had a good time and a delicious dinner. I just wish there was happy hour in the restaurant as well, not just the bar. 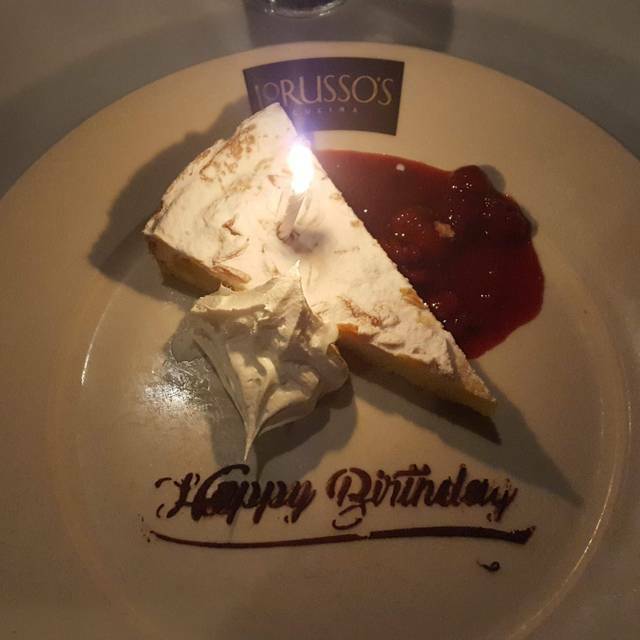 LoRusso's we have enjoyed for many years. We like their salads which were perfectly prepared. Their in house crackers (You can buy to take home) are truly delicious. Pasta dishes are stars here. Pasta stuffed with seafood and linguini were two favorites of the night. There are many items to select from including daily specials. I suggest not ordering the pounded thin veal. We love LoRusso's. Always a great experience; last Saturday was no exception. Our group ordered from the regular menu and the specials; all were fantastic. Great food and service as usual. House specialties are all outstanding. Flash fried spinach and arancini are among our favorite appetizers. Terrific Italian food, the best on the Hill. I had the Chicken Teresa; my wife the Tortellini. Both were full of flavor and served hot. Bread was excellent, entrees excellent, dessert (tiramisu I think) was delish. Atmosphere quiet and reserved without being stuffy. We are long time patrons of LoRusso's and we have seen a slight decline in some of the qualities that we used to love about the place. The wait staff used to be better and the service (because of that) used to be better. The food is always delicious. I am not sure who prepared it since Rich was out of town when we were there. Also, we had told them in advance that this was our Anniversary. We've celebrated our Anniversaries there many times and we always used to get a candle, a little piece of cake and someone took our picture. Here in my office I have pictures of us at LoRusso's from previous Anniversaries. In addition to a great memory, that was good advertising, as the photos said "LoRusso's". Sad to see the place decline. But maybe last week was an aberration. And the next time we visit it'll be back to normal. Excellent service, value and quality. They get it right. Good restaurant the food, service are always very good. The bartender Taylor was very good. Great Italian food & very good specials. This is the first time that we have had multiple courses on the table at the same time. It is not professional to bring the entrees while the salads are still being eaten. We had to accommodate her. Sigh. We will still go to LoRusso's but will be careful about having this waitperson. Our server, Ryan, was great! Nice to have such a professional. Everything was great. Started with the flash fried spinach which is very unique. Had the Veal Saltimbocca along with the risotto and both were excellent. Finished with the raspberry cheesecake with chocolate cake and it was awesome. Recommend it all. This was our first time at LoRusso’s. There is a parking lot next to the restaurant, which is helpful. The hostess was pleasant, and our server, Erica, was wonderful. For appetizer we had the crab stuffed mushrooms and the cheese ravioli (special), both of which were excellent. The four people in our party each had different meals. The house salad and the Caesar salads were very good (one of the best Caesar salads I’ve had). I had the Gorgonzola ravioli, and very much enjoyed it. My husband had the ziti al la vodka, which wasn’t bad (although, we were expecting a creamier sauce). 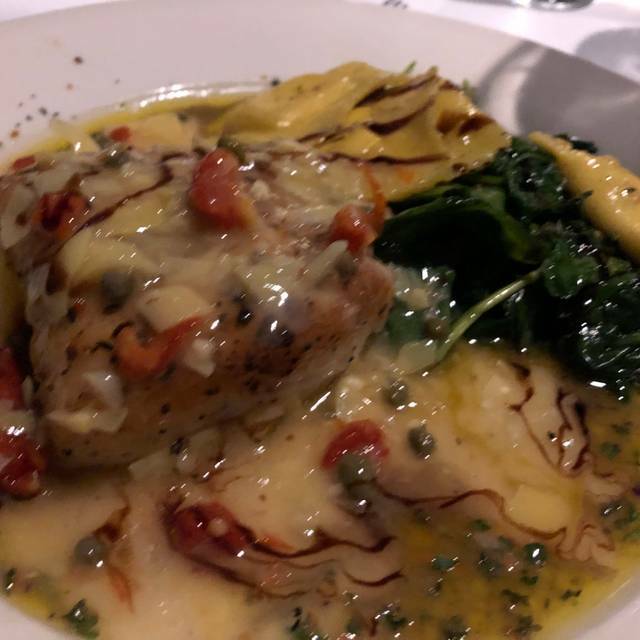 Overall, it was a very enjoyable meal, and we would definitely go back to LoRusso’s! We had a lovely dinner with family. We will defiantly return. Great food and service. I would recommend to anyone. Food was excellent, as it has been for 10 years of our visits. Our server was attentive and very nice. No negatives at all. We were there for our daughter‘s 22nd birthday and our dinner was phenomenal-Thank You!! As always a wonderful experience. Best Italian restaurant in Missouri! We where seated promptly, but I had to ask the hostess to find our waitress after sitting at the table for 10 minutes. The Bacon Brittle was quite good, but the Calamari was forgettable. The Ribeye was over cooked but a good cut and the pasta was bland. The chocolate desert was quite good however. Probably won’t go back. Great food! Very enjoyable! Surprised we were not offered a wine list before dinner. Server was great, we noticed that she had many more tables to wait on than other servers? Fun, family oriented Italian restaurant on the Hill. They handled our gluten free needs and even have a separate gf menu. We had a very nice dinner and will be back.